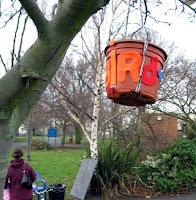 There were birds to draw, masks to colour and wear, quizzes to solve, bird-feeders to make from flowerpot, lard and seeds then decorate and hang around the park or take home to hang in the garden. Best of all, there were more species seen in the park today than have ever been seen since our records began. 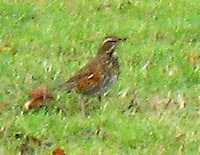 All the more rarely seen birds were on display but the star of the day was a newcomer: a Redwing was first spotted with two Mistle Thrushes in the meadow near the road and later seen on the slope in front of the school. 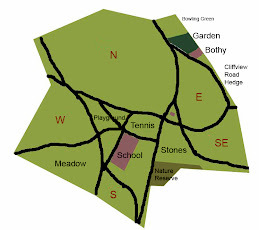 Special thanks to Lara and Rachel and, of course, the birds of Hilly Fields. I keep a list of what and when i see in the cemetery, which stands at about 29 at present over 4 years, so this is a fair proportion of that list. I am particularly proud of the Tree Creepers, which I have now seen 3 times in the last 3 or 4 months. It's very good to know there are Tree Creepers in the area. You say you keep records of your sightings. Have you heard of BirdTrack? You can register with them and submit your sightings on their website. The stats are useful to BTO and others and you can get graphs etc of your own stats. I've started to "label" this blog. For some info on BirdTrack click it's label in the right-hand column. Took part in the BigBirdwatch in my garden in Ladywell.The usual suspects, but the woodpecker did'nt turn up during the hour. However to my suprise and delight a black cap and a goldcrest were spotted. Its the first time I have seen either bird and in my own garden as well!! According to my book, Black Caps are scarce winter visitors to southern England, so that was a great sighting, leytonorient! We've just spotted a goldcrest on top of our saxifrage green shed roof. Near the Bothy side of the park. 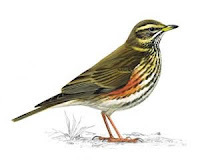 RSPB say they suffer in cold winters. As they feed on insects what's the best way to help? Had a black bird on roof today, pulling up plants! If Goldcrests need insects, they may enjoy one of the peanut cake squares or tubes that have insects in them. They can be found in various places including, of course, RSPB and C J Wildbirdfood whose catalog I happen to have in front of me.